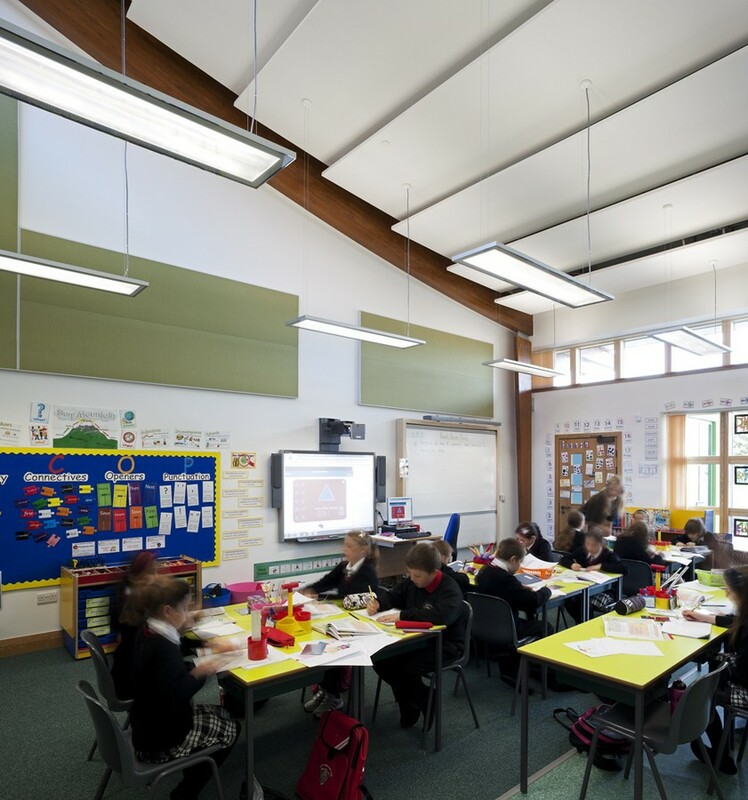 This project was designed to deliver a single stream denominational primary school with provision for a maximum of 217 pupils plus a 40/40 nursery facility. 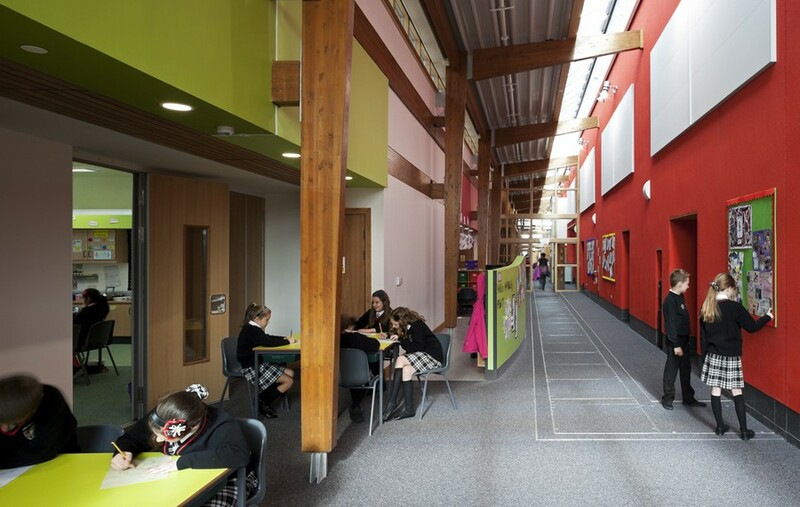 It was intended that the gym, changing and toilets and GP space be integrated for community use which also includes the external Multi Use Games Area within the perimeter of the school boundaries. 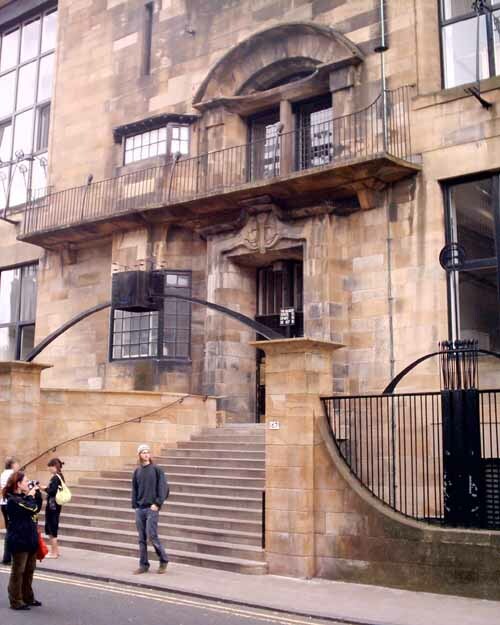 The school is located to the eastern edge of the site on Edward Avenue, Stenhousemuir which was largely driven by the results of the ground investigation. The site was a grassed area used as public open space and is surrounded on all four boundaries by residential accommodation and a local shop. The school commands a slightly elevated position on the gently sloping site running east to west. Separate vehicular access to the school for staff and service vehicles is taken off Edward Avenue into a dedicated parking area, with disabled parking and service zones. A new roundabout on Edward Avenue has been developed for the scheme to allow a safe one way vehicular route for pupil drop-off and visitors. 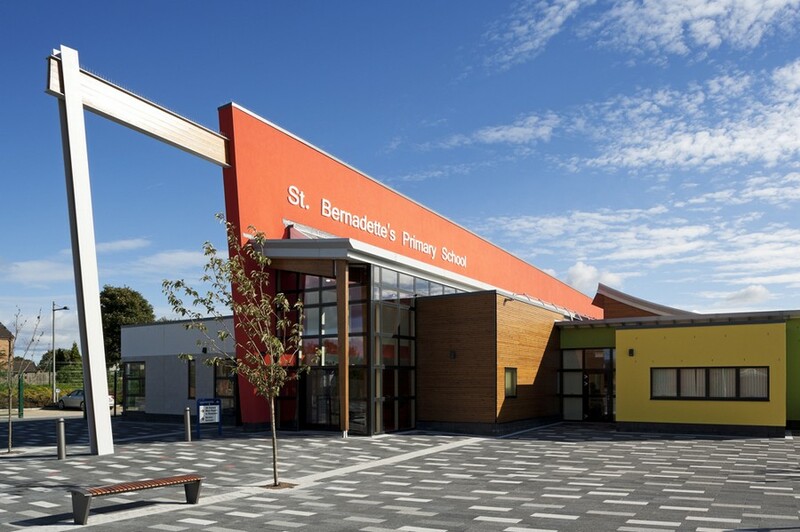 This route is designed and located to offer a safe pedestrian access to the school entrance points for pupils and members of the public. Parking for disabled with level access is provided immediately adjacent to the main entrance with finished ground contours allowing a gentle drop to the automatic main entrance doors. 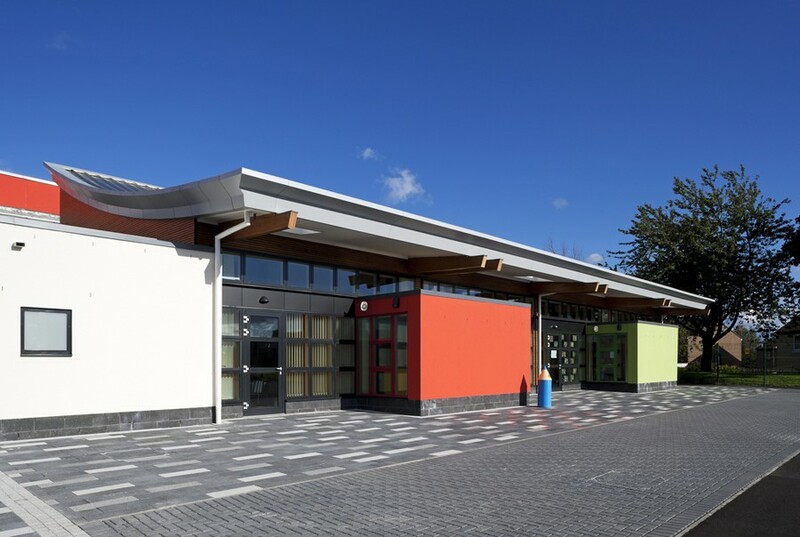 The school has a north-west/south east orientation with all 8 class bases taking advantage of afternoon sun light and view over the playing fields. 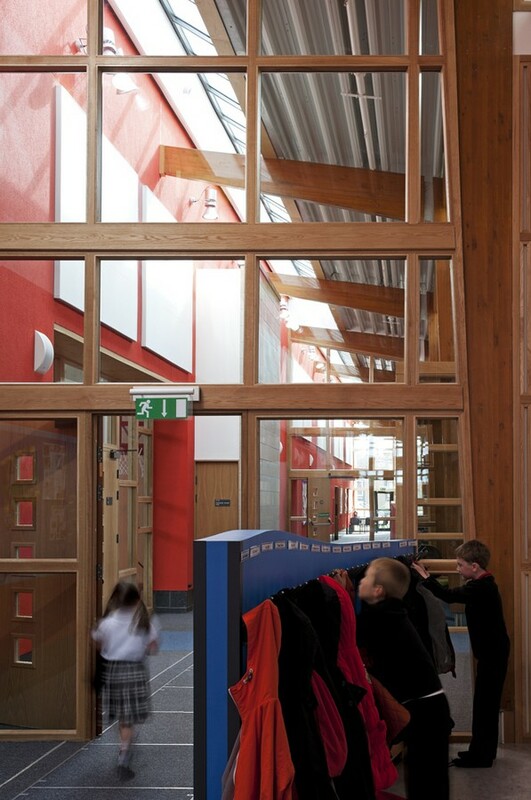 A glazed entrance and steel structural feature draws visitors into the secure reception of the school. From here access is gained into the main activity and circulation ‘street’ with a partially glazed roof providing natural light and ventilation and designed with solar control shading. 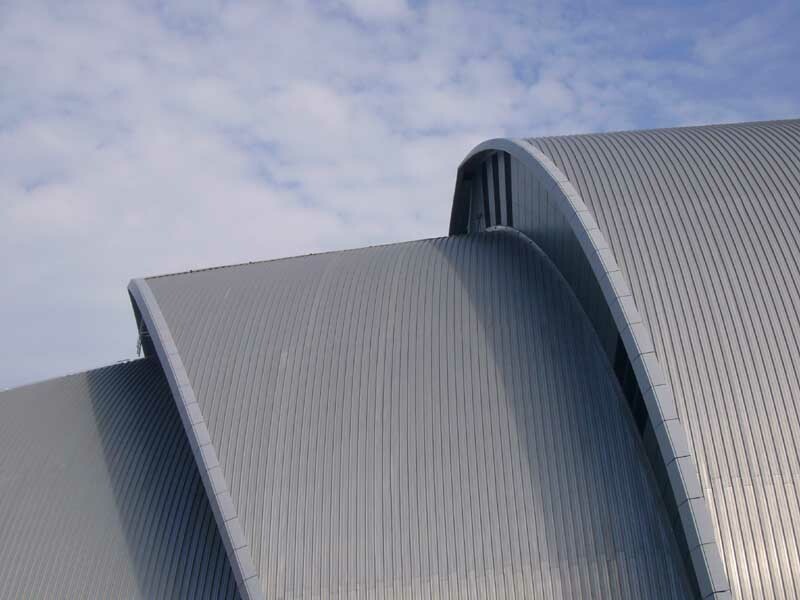 Glazing to the south, east and west is treated with a solar control film. 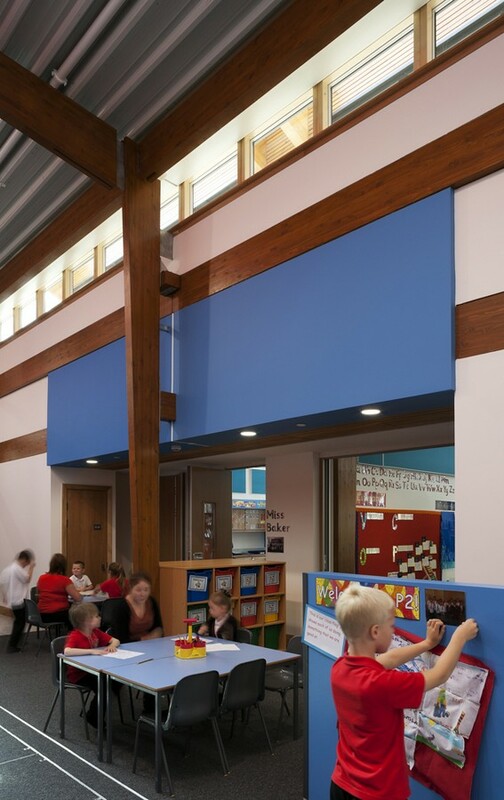 A feature spine wall separates the school teaching areas, nursery and activity spaces from the administrative and utility zones, gym and dining. This wall is punctured by various entry points and viewing windows along its length. 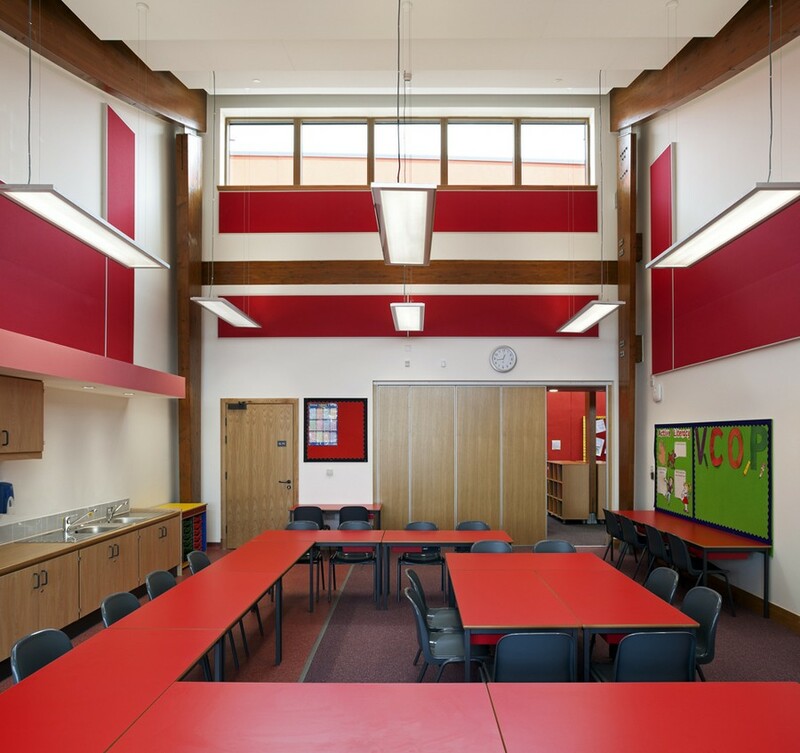 Shared quiet spaces are accessed off the main teaching spaces to allow for ‘quiet’ study time for pupils. 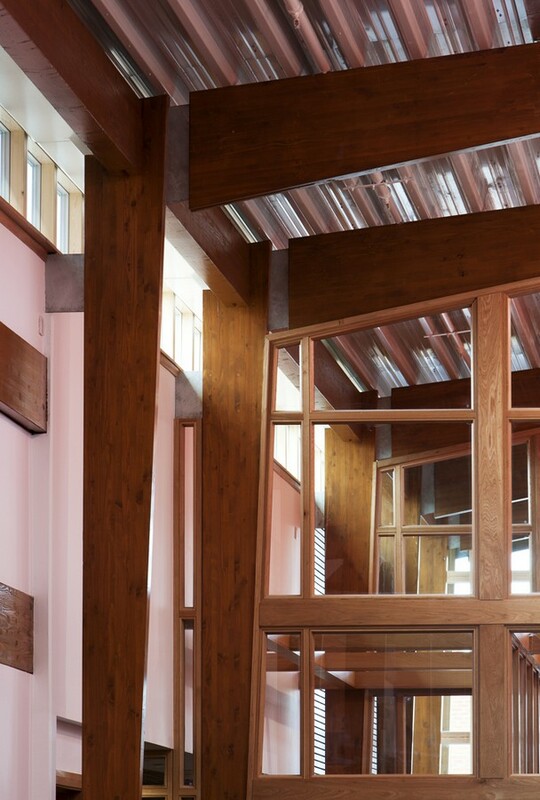 The structural design intent is to expose and articulate the ‘glulam’ timber frame in the ‘street’ and class bases. Outdoor teaching space is provided at ground level in the main play area introducing additional teaching facilities for learning. 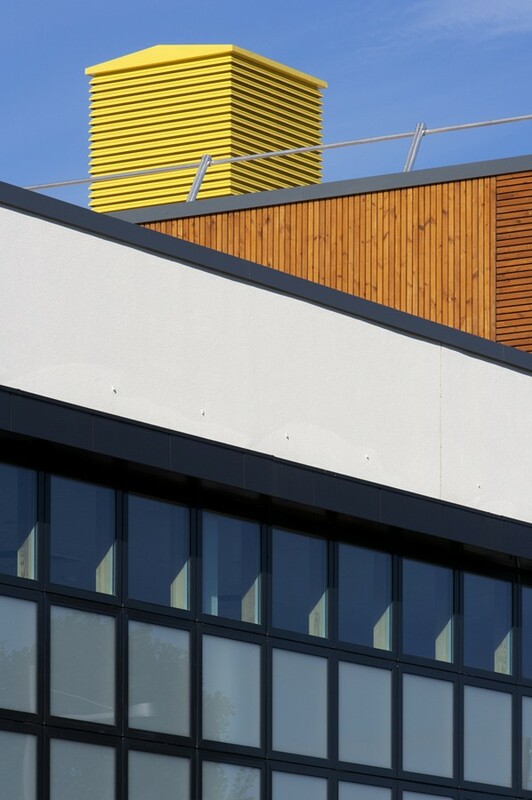 Various external wall textures such as timber slats, smooth polished blockwork and coloured render wall panels compliment the design intent. 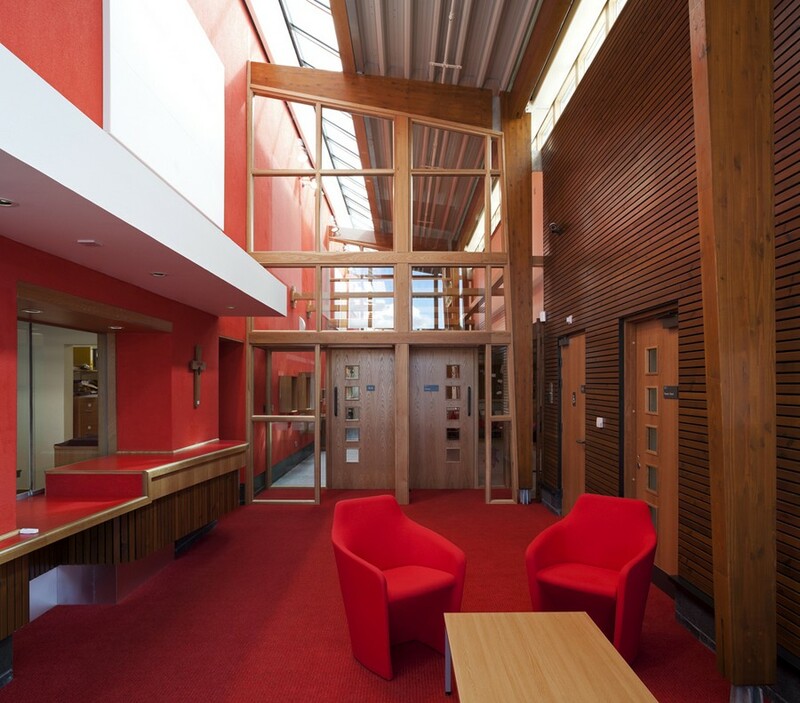 The library space is strategically located between the upper and lower school classroom blocks and is enclosed by glazed screens to maximise natural light and to provide a quiet area for study and learning. The nursery provision is located at the main entrance for direct access and is designed to be a bright and secure environment for under 5’s. There is a direct link to the Primary one class base to encourage interaction between the lower school pupils and the nursery children. 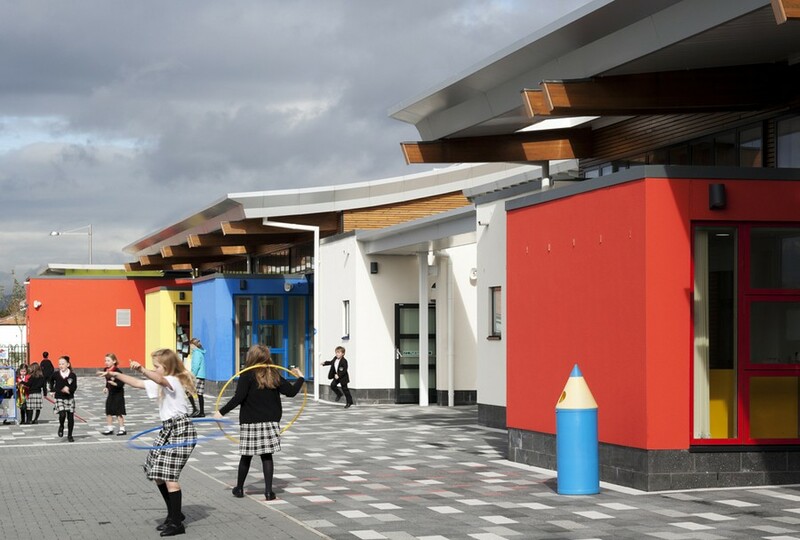 Outdoor activity is considered important with an enclosed ‘soft ‘playground area provided, raised planting beds for education purposes and teaching aids to allow nursery child play, exploration and discovery. A moveable glazed wall can be fully retracted during summer months. 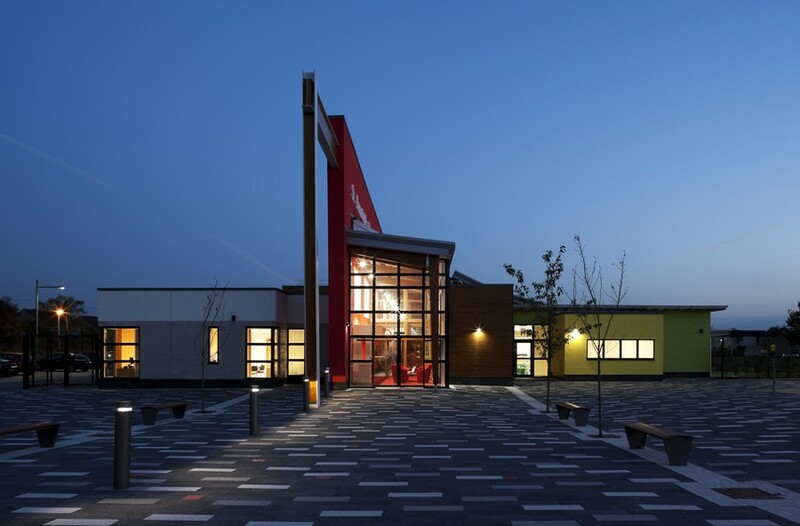 Various external ground textures have been adopted such as permeable monoblock paving, black asphalt, concrete paving and coloured glass block feature paving. Discrete perimeter fencing is incorporated to form a secure enclosure for the school pupils and staff. 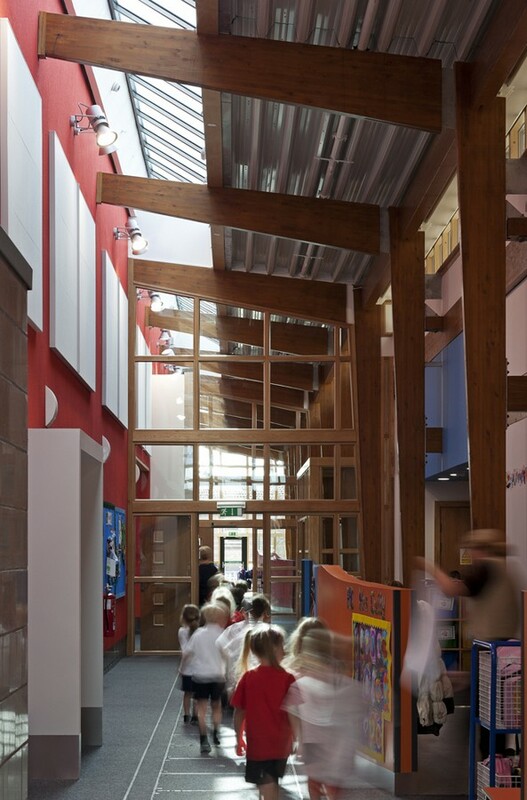 Sustainable construction is an important element of the new building which includes breathing walls, rainwater harvesting, passive ventilation to classrooms and gym, heat recovery and solar thermal collectors. A re-cycling zone has been established for the school adjacent to the service access road.